Kristin is an exceptional photographer that is patient and captures authentic moments that I want to visit over and over again. She has photographed my little children's feet, their dirty fingernails and tips of their heads; things I never think to take a picture of and yet really capture the beauty of childhood. She is extremely talented and is very patient, even with husbands who do not like their picture taken! I have used other photographers in the past three years, in addition to Kristin, and my favorite photos always come from Kristin (running in a field, laying in our king-sized bed together, at the lake, in our front yard). 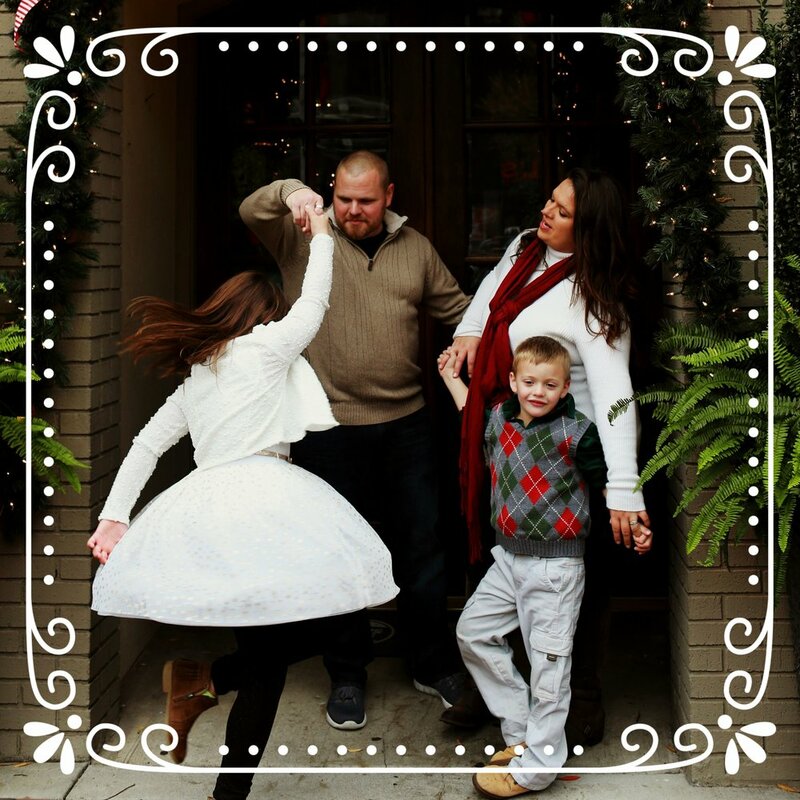 The photos from the other photographers are typical family poses and are nice, but they do not fully bring out the joy, laughter and pure magic of my family like Kristin's photos do. If you are interested in making an investment that you want to share and treasure over and over, I encourage you to consider Darling Lilly Photography! From the day you first reach out to Kristin, you'll feel like you have an instant friend. She cares about her clients and makes the process so easy-going. I was worried about having a camera in my face throughout my entire wedding and just feeling awkward, but I didn't experience that at all and felt totally comfortable. Kristin knew exactly where to be and what to capture. I'll cherish her work for a lifetime, as she captured and amplified my beautiful wedding day. I am so thankful she agreed to shoot at my wedding and I look forward to the day she can capture my family when it expands. My dear sweet friend, Kristin, is a wonderful photographer! I'm not going to lie, since my toddler has become more active, I was kind of stressed out about even attempting a photo shoot. I swear my boy did not stop moving the entire time! And my girls were all over the place as well; one being a camera hog and the other pouting about it, but somehow Kristin managed to capture all the beauty in the chaos! I think partly because she's just great at what she does, but also because she's such an incredibly warm and caring person who you can't help but love! My wonderful, now, brother-in-law convinced me that my fiancé and I definitely needed a photographer for our wedding. He knew of just the person and, I have to say, I'm so glad I listened to him! Kristin did an amazing job on photographing our wedding. She's not only an amazing photographer, but she really cares about your story and it shows in the photos she takes. She was in the moment right along with us and captured beautiful photos and moments. Thank you, Kristin, a million times over for caring about what you do, doing such a great job and putting all of that love into your work! I had always thought that family pictures should be structured. You know, white shirts and blue jeans for everyone, all posed and smiling. That is, until I saw Kristin's pictures of my son, daughter-in-law and grandchildren. Nothing posed. Just family. Real life, real smiles, real love showing through. Thank you, Kristin, for making me see what was there all along, now in beautiful photographic memories. You are a true photographer and artist. Your talent humbles me.